You are browsing the archive for advisoryboard. 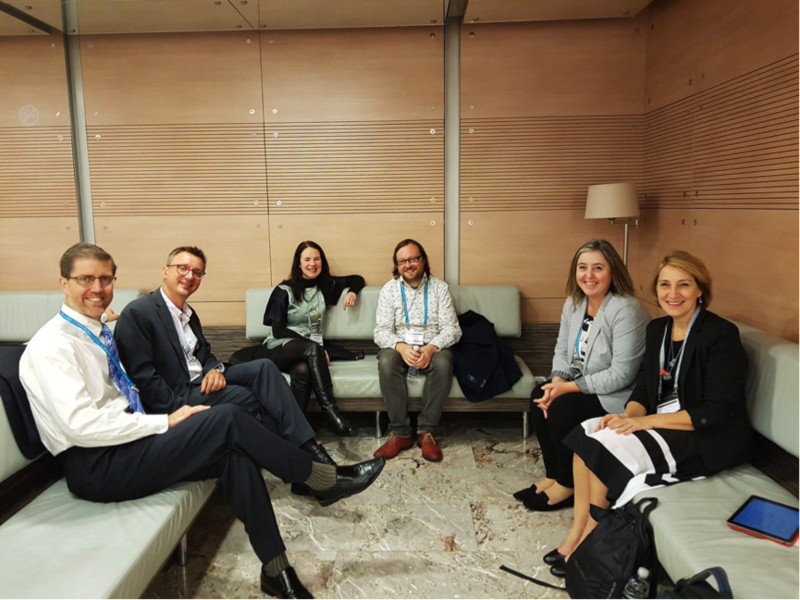 Members of the Open Education Working Group Advisory Board had a rare opportunity to meet face to face last week while attending the UNESCO OER World Congress in Ljubljana, Slovenia. The theme of the Congress which brought together delegates from 111 countries, was “OER for Inclusive and Equitable Quality Education: From Commitment to Action” and there was a strong focus on how OER can help to support United Nations Sustainable Development Goal 4. The main output of the Congress was the UNESCO Ljubljana OER Action Plan and accompanying Ministerial Statement. The Action Plan outlines 41 recommended actions to mainstream OER and to help Member States to build knowledge societies and provide quality and lifelong education. Members of the Advisory Board took time out of the busy programme of talks, discussions, workshops and satellite events to meet and discuss recent activities and actions the group could take forward from the Congress. Cable Green provided us with an overview of Creative Commons new Global Network Strategy which is focused around four platforms; open education, copyright reform, community development, and GLAM. We discussed how the Open Education Working Group could engage with the Open Education Platform as we share many of the same goals. The platform is open to all and provides a space to connect to global actions in open education resources, practice, and policy, plan and coordinate multi-national projects, and secure funding from Creative Commons and others. You can find out more about Creative Commons Open Education Platform here: Invitation to Join: CC Open Education Platform. We discussed whether the group should schedule a new series of open education webinars, or whether it would be more useful to curate and provide access to webinars run by other organizations and institutions. We’d be interested in hearing your thoughts on this. Another idea we explored was whether it would be useful for the group to start mapping OER research and whether this could potentially be a starting point for a CC platform project proposal. We also identified future events where group members could potentially meet face to face again including Creative Commons Summit (Toronto, April 2018), OER18 (Bristol, April 2018), OEC Global (Delft, April 2018), EDEN (Genoa, June 2018). Fabio Nascimbeni suggested it would be useful to have an OER18 strand at EDEN to draw the themes of these two events together. Sophie Touzé also encouraged the Group to engage with the Open Education Consortium around Open Education Week and this is something we were all very keen to explore. 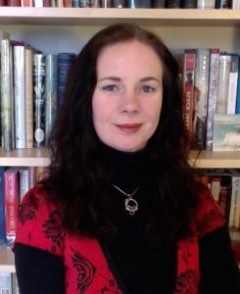 Lorna M. Campbell currently works as OER Liaison within the Learning, Teaching and Web division at the University of Edinburgh in Scotland. Her areas of expertise include digital infrastructure for OER, open education policy and practice, and technologies for supporting the management and distribution of educational content. 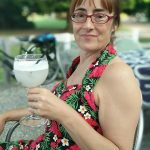 Lorna has a longstanding personal commitment to supporting open education; she founded the Open Scotland initiative, was co-chair of the OER16 Open Culture Conference and is a Trustee of Wikimedia UK and the Association for Learning Technology. Lorna is also the driving force behind the Scottish Open Education Declaration. From 2002 – 1015 Lorna was Assistant Director of the Centre for Educational Technology and Interoperability Standards (CETIS) in the UK, during this time she contributed to the development of a number of learning technology standards and supported many national innovation programmes including the UKOER programme. Lorna maintains a number of blogs including Open World at lornmcampbell.org and Open Scotland at openscot.net and she regularly blogs and presents about a wide range issues relating to open education. 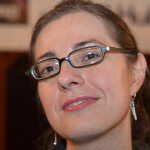 Lorna has an academic background in archaeology and she has a long-standing interest in digital history and humanities. She can be followed as @LornaMCampbell on Twitter. Our final Open Education Working Group Advisory Board member to introduce themselves is Joonas Mäkinen. Joonas is a maths teacher in Finland, so he is working at the coalface so to speak! 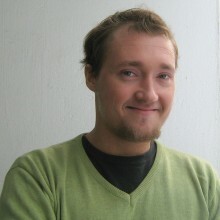 He has been an active member of the Piraattipuolue (Pirate Party of Finland) for sometime and has facilitated the creation of open textbooks in his home country. I am Joonas Mäkinen and I work as a maths teacher in a school in Finland. I ‘met’ Marieke at an Open Data Ireland event in a Google Hangout – am very happy to join the advisory group! I’m an active member of the Piraattipuolue (Pirate Party of Finland), a political party in Finland and a part of a global pirate party movement. Piraattipuolue is a party with a focus on information society topics which values openness and liberty and defends the freedom of speech, privacy and justice. It wants to promote freedom of information by removing excessive copyright restrictions, abolishing the current patent system and by promoting the spread and openness of government and scientific data. I personally would like to rationalize and modernize old government policy so that social and economic decisions will rely more on research and scientific evidence of traditions, beliefs and principles, rather than obsolete ideas. I feel that common issues should be discussed openly. In 2012 I helped organise a team to write a secondary school mathematics textbook over a weekend in an event called Oppikirjamaraton (“textbook marathon”). The book was to be licensed CC BY, so that anyone could reuse or remix it in Finland or around the world. The text — now in version .91 in GitHub — is called Vapaa Matikka. 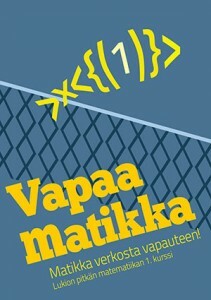 The title translates as “Free Math,” but since matikka can also mean “burbot,” the book’s title also reads as “free fish” and its slogan — Matikka verkosta vapauteen — could be either a rallying cry to keep educational resources free and open or an instruction to free a fish from a net. In Finland there is one national curriculum and everyone follows it. The only standardized tests you get are your finals, or matriculation examinations as they are known here, so some book series approach topics in a slightly different order than others. There is some flexibility and writing a course book based on the curriculum was easy. Details of the booksprint are available from the Creative Commons website. There is also a Facebook page for the book. I’m really excited about joining the advisory board and hope to enable the open education community to make more links with the teaching community. 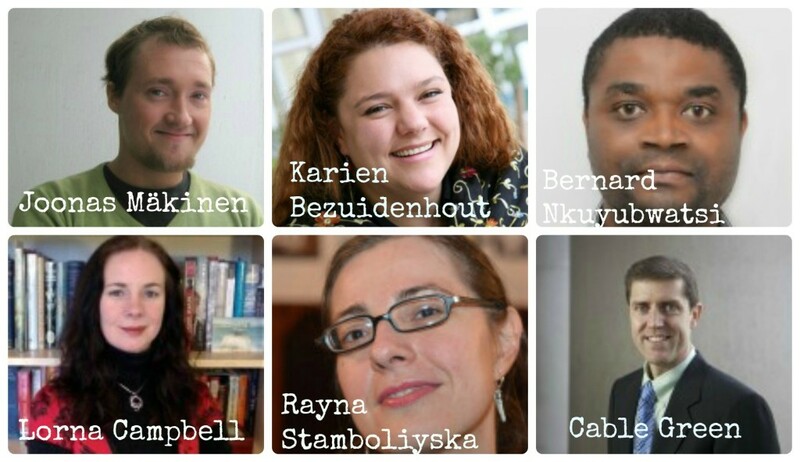 The fifth of the blog posts from our new Open Education Working Group Advisory Board comes from Karien Bezuidenhout. 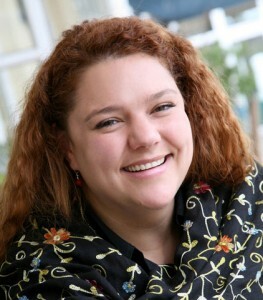 Karien Bezuidenhout is Chief Operating Officer at the Shuttleworth Foundation. The Shuttleworth foundation funds a number of OER initiatives including the M4Lit project, Siyavula, and the P2PU. I’m Karien Bezuidenhout and I work as the Chief Operating Officer at the Shuttleworth Foundation and I’m honored to join the Open Education Working Group. The Shuttleworth Foundation is an innovative non-profit organisation that provides funding for dynamic leaders who are at the forefront of social change. We identify amazing people, give them a fellowship grant, and multiply the money they put into their projects by a factor of ten or more. We are always looking for social innovators who are helping to change the world for the better and are looking for some support through an innovative social investment model. The Foundation is at its core an experiment in open philanthropy and uses alternative funding methodologies, new technologies and collaborative ways of working to ensure that every initiative receives the best exposure and resources to succeed. 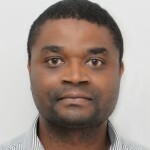 At the Shuttleworth foundation I focus on maintaining a strategic and operational overview of the interests of the Foundation, working closely with the Fellows in advancing openness, access and collaboration. Together they drive social and policy innovation through critical dialogue and practical interventions. My background wasn’t in the open space. I did an undergraduate degree in accounting and taxation at the Graduate School of Business at the University of Cape Town, but I very quickly realized I don’t ever want to be in a purely finance job. I wanted to be in social development, but when I went to university I didn’t actually think of this as a viable option. After I finished my degree, I started looking around and I was fortunate enough to find a job in social development, helping to establish an organization and its programs. Next the work of the Shuttleworth Foundation looked interesting so I joined them as a Project Manager in their free and open source software unit. It wasn’t software development; it was basically advocacy programs around free and open source software, engaging government, education, the private sector and the public on the use and underlying philosophies of free and open source software. From there, I moved into the education unit at the Foundation, it was actually a very natural progression. We believe in the principles of free and open source software, and the Foundation became interested in saying, well, it’s not just about software, but also about an intersect between the ideas behind free and open source software and education. We became interested in this idea of open education or open educational resources, and it went from there. My position grew with the organisation’s interest in this area. So I started as a Project Manager specifically around this area, grew to a Program Manager, and from there I became the Chief Operating Officer. Once I joined the Shuttleworth Foundation I found out about open source and felt strongly that everyone should actually know about it. That was in 2004. Now I actually find more and more people have at least heard about something in this general area, whereas at that stage it really was just in the realm of geeks. The underlying philosophy of the Foundation is around methods of openness – the values that underly the free and open source software movement. Transparency, building communities, collaborating, sharing, building on what others have done, making available what we’ve done. These, for us, are the values of what we’re trying to do in open education as well. The Cape Town Declaration was an important part of this journey and there are three things from the Cape Town Declaration that is important for us: People should participate. 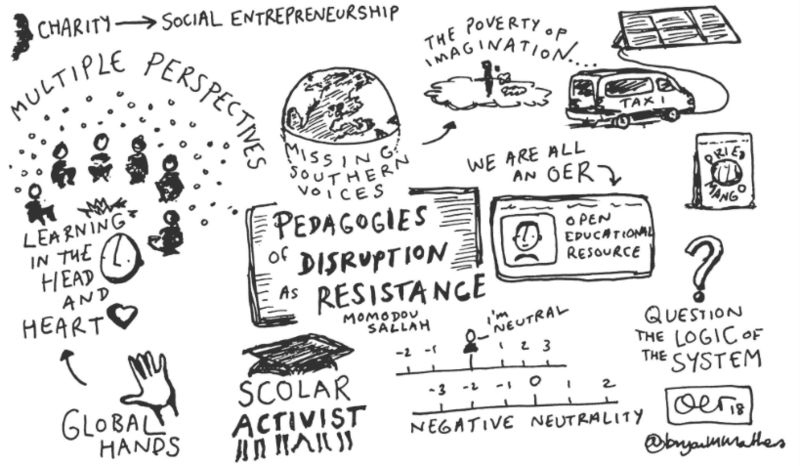 (Open education is about more than open licenses.) People should make their works available under open licenses. And people should make policies to allow for and encourage these things to happen. I now feel that connecting people is incredibly important, and here is a role for the working group. It seems the role is evolving, including more networking and connecting the people in this space. 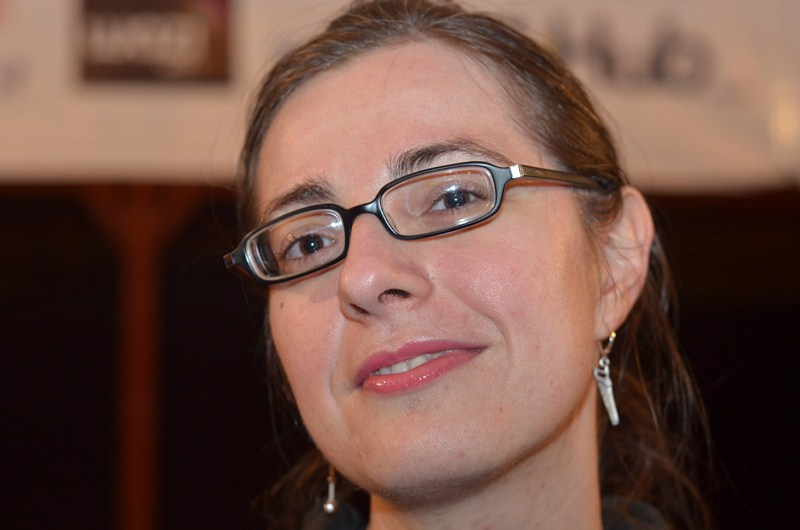 The fourth of the blog posts from our new Open Education Working Group Advisory Board comes from Rayna Stamboliyska. Rayna Stamboliyska is is currently serving on the board of the Open Knowledge Foundation France and founder of its Open/Citizen Science workgroup, she advises decision-makers on knowledge technologies in the Middle East and the Balkans. She is founder of RS Strategy and launched OpenMENA in early 2014 to promote open knowledge in the MENA region. 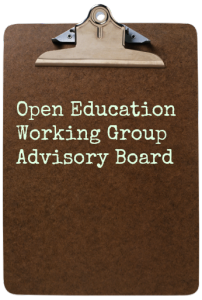 I was delighted and humbled to be invited to join the Advisory Board of Open Knowledge’s Open Education Workgroup. 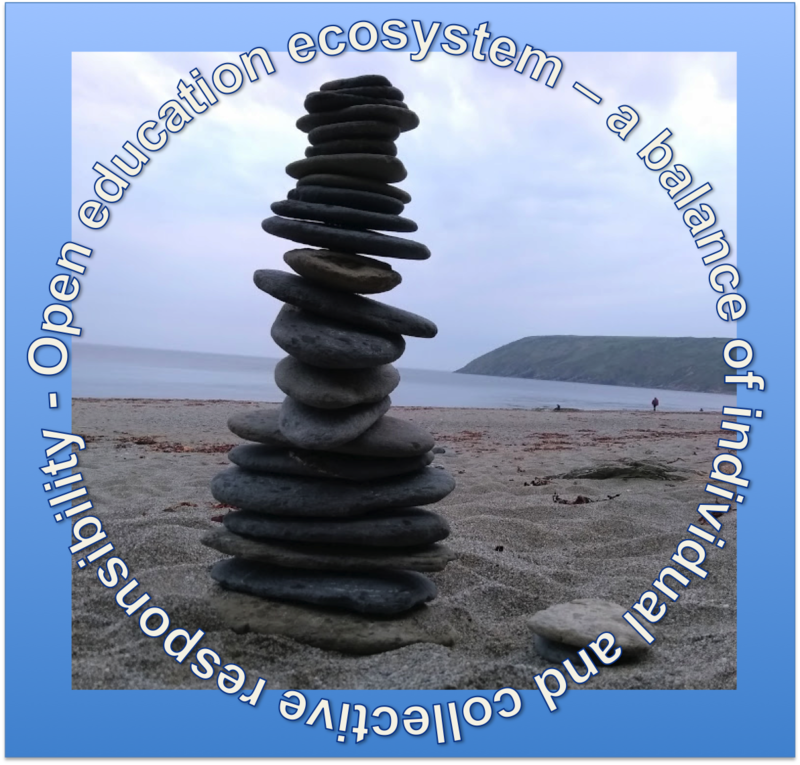 Led by Marieke Guy, the group aims “to initiate global cross-sector and cross-domain activity that encompasses the various facets of open education.” In addition – and what is also of particular interest for me, – the group also wishes to promote open educational practices. What motivates me for being involved in opening up educational resources and practices is the basic idea that we need to transform infobesity into a structured knowledge transmission. Such a transformation is by design pluridisciplinary and collaborative. It encompasses not only the production and distribution of a wide range of resources but also changes in the way we reach out to learners. There are thus two main points that I have focused on: how to innovate means of knowledge transmission and how to define learners. Just like data, opening up information and putting it online is a means, not an aim. People need to actually care using it for open information to produce true and meaningful social good. The question we ask here is naturally the one of outreach: how do we bring all this wealth to the widest possible audience? And how does such an audience stop passively consuming and gets actively involved in knowledge construction and transmission? We can think of a plethora of ways via which to channel collaborative energy: hackathons, editathons, games, websites, data/knowledge expeditions in schools, advocacy and policy-making efforts towards an increased integration of cross-domain productions in educational programs, etc. As an illustration, think of today’s scientific educational supports in high school: often, these encompass mock examples that were relevant 10 or 20 years ago. Yet we have witnessed an immense traction for citizen science projects worldover. You see me coming: why not integrating citizen science approaches in the classroom? We also witness an ever-growing number of scientists opening up their raw data and publications; how long should we wait for these to be adapted to the classroom, be it high school or in higher education curricula? If – or actually, when – this happens, we will have given a true educational value to the expert knowledge we produce. When speaking of innovation and pluridisciplinarity in education, we cannot skip the complementary question of definition and impact on learners. Interestingly, the ‘learner’ category here has somewhat widened to include the (less and less) sacrosanct group of teachers. Regardless of whether these are primary, high school teachers or higher ed professors, they are increasingly recognized as learners. To cope with the ever-growing amount of information and changing forms of knowledge transmission, one must be able to learn – and unlearn. To me, teachers are invested with the task of kitting up students with the tools for how to think rather than what to think. With these considerations in mind, I have been involved in a few initiatives and projects aiming at transforming education. The focal point is to preserve curiosity, a perpetuum mobile for creativity. 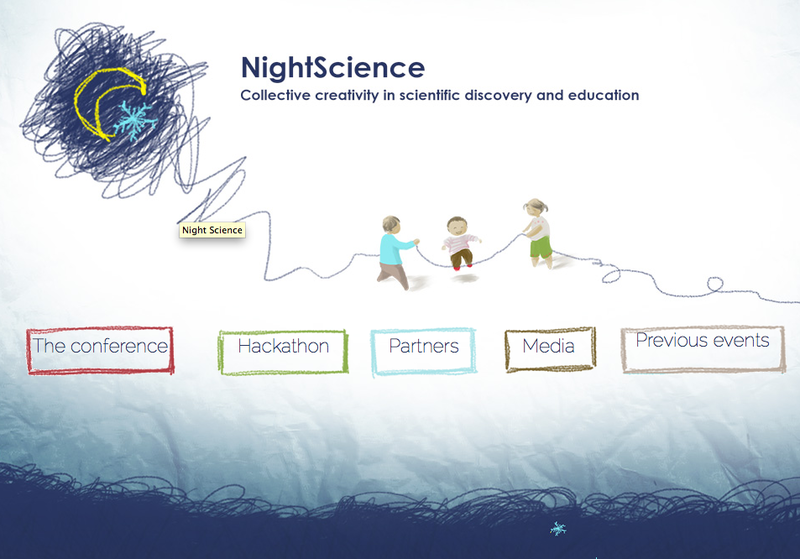 In 2013, I organized the NightScience event in Paris. The goal of the event was to give a snapshot of state-of-the-art approaches and reflexions on educational practices through a one-day conference and then to give room, during a 2-day hackathon, to enthusiasts with diverse backgrounds to actually co-create tools and resources. The conference gathered t(h)inkers, researchers, hackers and teachers, among whom we were happy to host Prof. Alison Gopnik, Shannon Dosemagen (Public Lab), Dr. Stephen Friend (SAGE), Gerard Dummer (WikiKids), etc. The hackathon was also a quite amazing event where open hardware guru Mitch Altman taught 8-year-olds and (alleged) grown-ups to do magic with Arduino. In addition to the NightScience event, I was also actively involved in structuring, managing and training the Savanturiers project. The latter is an ambitious innovative program whose aim is to bring learning through research in primary schools. A team of Master students and PhD candidates from different scientific fields have thus endeavoured to develop research projects with 10-12-year-olds in several primary schools in Paris. Since February 2014, I have left academia in order to dedicate myself to creating and implementing different types of activity. I have thus partnered with Stephen Kovats’s r0g media agency and we are currently searching ways to transfer our joint experience to Mali, a country that faces complex post-conflict challenges whre open technologies and open educational resources could make a real difference. In addition, I am also involved with a brave and ambitious project, the Thirteen Youth Center, which the 14-year-old Vuk is founding in Belgrade, Serbia. Lastly, I endeavour to promote the Open Knowledge values in the Middle East and North Africa through both the OpenMENA initiative I founded and two ongoing projects I have bootstrapped which aim to introduce alternative and creative educational frameworks in Egypt and Tunisia. Collaboration, peer-learning and opening up resources and practices are thus the common denominator of all the initiatives I have been involved into. I believe we are able to bring about a real change in knowledge transmission and co-creation; engaging with the Open Education Workgroup is one the ways to achieve it. Cable Green at 2014 Innovate Conference. Author: Ohio State University. Licence: CC BY 4.0. 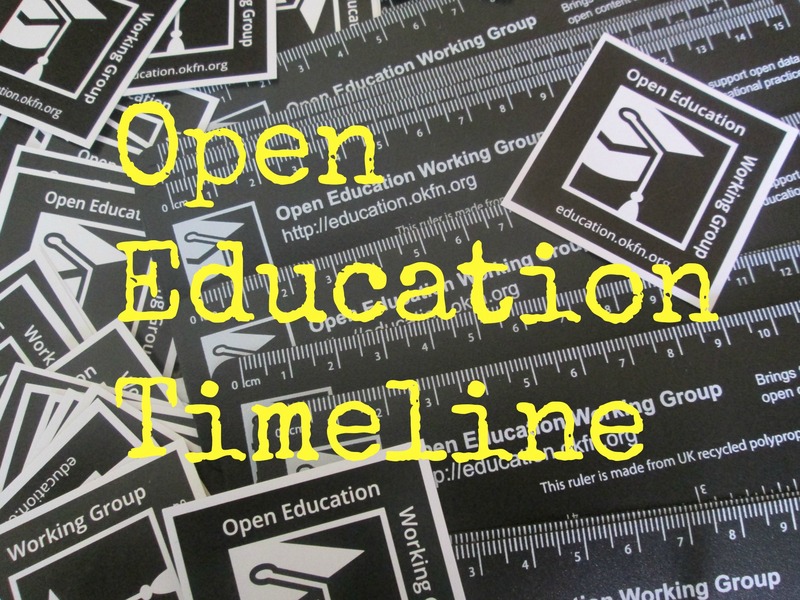 Time for the third of our blog posts from our new Open Education Working Group Advisory Board. 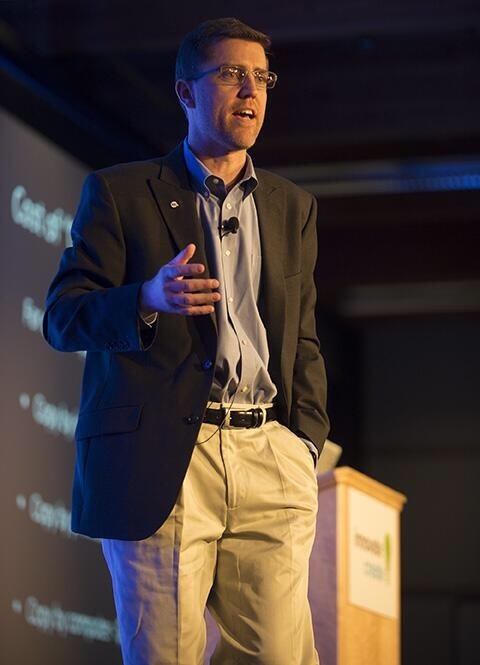 Dr. Cable Green is the Director of Global Learning at Creative Commons (CC). 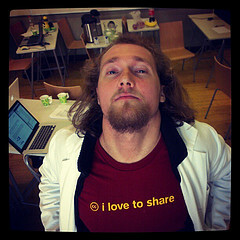 Today he talks about his involvement in open education thus far. Cable writes on the CC blog and tweets @cgreen. I was recently invited to join the Advisory Board of Open Knowledge’s Open Education Working Group and I quickly accepted. The aim of the group, “to initiate global cross-sector and cross-domain activity that encompasses the various facets of open education,” is perfectly inline with the open education, policy, access, data, science, legal and government work we do at Creative Commons. I firmly believe that the world is shifting from closed to open and that we need all hands on deck and all open organizations and advocates fully connected and coordinated if we are to leverage this historic opportunity. The opportunity? For the first time in human history, most of the world’s knowledge, research, data, and educational resources are digital. Digital things cost almost nothing to store, distribute and copy…and we can share these digital things, at the marginal cost of $0, under Creative Commons licenses with the world. Further, governments and other funders are starting to require that publicly funded resources are openly licensed resources. Bottom line: we live in a world with everyone can access high quality, near 0 cost education and research resources, public sector data, we can be citizen journalists, and open data can be leveraged by scientists to cure diseases and solve global crises faster than ever before. The question is – will we use these technological, legal and policy tools to democratize access to publicly funded resources and data? I think we should. At Creative Commons, we’re engaged in multiple projects that work to leverage and make explicit these opportunities. School of Open: Educating about open. To address a general lack of knowledge of the practice and benefits of open licensing, we have launched the School of Open to offer free education opportunities for anyone to learn about the meaning and impact of open licenses and resources in the digital age and their benefit to creative endeavors, education, research, and more. Individuals and organizations will learn how to use free technology and tools, such as Creative Commons licenses, to share, improve, and build upon their materials. We are coordinating the project in collaboration with the Peer 2 Peer University (P2PU) at http://schoolofopen.org. Open Policy Network: Ensuring open access to publicly funded resources. To fully scale the opportunity of OER and maximize the impact of taxpayer money, we need open policies to ensure publicly funded resources are openly licensed. The Open Policy Network is a coalition of open organizations who work to foster the creation, adoption, and implementation of open policies and practices that advance the public good. Through this initiative, we will enable advocates, researchers, and policymakers to access resources, expertise, and model policies to advance the spread of open policy adoptions at the institutional level. We are coordinating activity to shape this project in its beginning stages at http://staging.openpolicynetwork.org. As part of the network, we are hosting the OER Policy Registry, a community-curated database where you can share, update, or browse current and proposed open education policies from around the world. Open Professionals Education Network: Supporting open policy program grantees. The Open Professionals Education Network (OPEN) provides free support and technical assistance to all grantees of the $2 billion Trade Adjustment Assistance Community College & Career Training (TAACCCT) grant program from the U.S. Department of Labor. OPEN works with grantees to meet the provisions of the grant, including the CC BY open licensing requirement for all educational resources produced as a result of grant funds. OPEN services are provided by Creative Commons (CC), Carnegie Mellon’s Open Learning Initiative (OLI), Center for Applied Special Technology (CAST) and the Washington State Board for Community & Technical Colleges (SBCTC) at http://open4us.org. Learning Resource Metadata Initiative: Making it easy to find and share open resources. The Learning Resource Metadata Initiative (LRMI) is a project led by Creative Commons (CC) and the Association of Educational Publishers (AEP) to establish a common vocabulary for describing learning resources. The vocabulary is the first independently developed industry-specific framework designed to work with schema.org, the web metadata framework launched by Google, Bing, and Yahoo!, thereby improving the practical search and discovery of learning resources online. To learn more, visit www.lrmi.net. 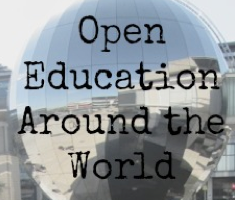 I am excited to participate in the Open Education Working Group, and look forward to realizing the aforementioned opportunity, with my global open colleagues, over the coming months and years. Today we have the first of our blog posts from our new Open Education Working Group Advisory Board announced last week. 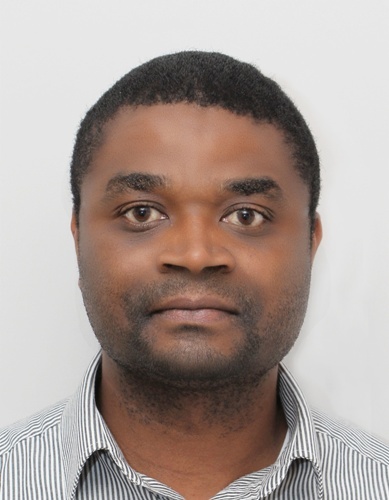 Bernard Nkuyubwatsi has already written for us twice with a post on Open Education Rwanda and his personal account of multidimensional migration for social inclusion. Today he talks about what open education means to him. I am interested in MOOCs, OER, open educational practices and open education policies that can enable widening access to higher education globally, including the settings with low levels of access to technologies and resources. For education to be opened up globally, I believe that not only courses and content needs to be open, but equally, there is need of an open system that enables learners who take the courses and use the content to gain credit from their investment if they meet same or similar standards as formal students. To measure how both formal and non-formal learners meet the standard, similar assessment opportunities would be provided to both categories for awarding their accomplishment based on measurable competencies. This would enable social inclusion in the higher education system which is at the heart of my interest in open education, OER, MOOCs as well as open educational practices and policies. I advocate equal treatment of learners in formal higher education institutions and non-formal learners who cannot afford tertiary education but can leverage their socio-economic disadvantage with engagement with open courses and content to meet same standards as formal students. This would reduce the imbalance in terms of inclusion in higher education between learners from different socio-economic background. I also advocate flexibility that enables the dissemination of open content and courses using alternative media that consider target learners’ access to technologies. Such alternative would avoid the transfer of the digital divide into educational divide. My involvement in open education started in 2010 in the online communities that discussed designing Open Educational Resources university. Inspired by ideas shared in this community and the concepts, theories and best practices learned in the UK OU’s MA in Online and Distance Education, I started my volunteer work with Rwanda Education Board’s Department of ICT in Education, Open, Distance and eLearning in September 2011. My contribution to this board was a concept paper that led to the appointment of a task force and working group to work on the University of Rwanda College of Open and Distance Learning. I have been a member of both the task force and working group. In effort to involve all stakeholders in Rwandan higher education in open education, OER and MOOC related discussion, I started the Open Education Rwanda’s Network. This is an open Facebook community created to facilitate a multidirectional discussion around these topics. The community also provides a space for sharing information on latest developments and opportunities in open education, MOOCs, OER and education in general. In addition, this community collaboratively consult in finding appropriate name in the local language for key concepts in open education, OER and MOOCs. This open consultation helps communicate related practices and research in a language that is accessible to potential beneficiaries. Hopefully, with a collective engagement of different stakeholders in Rwanda, we will be able to open up opportunities to thousands of Rwandans who wish to attend higher education but have not been included in the mainstream system which currently provide access to only about six percent of secondary education graduates. 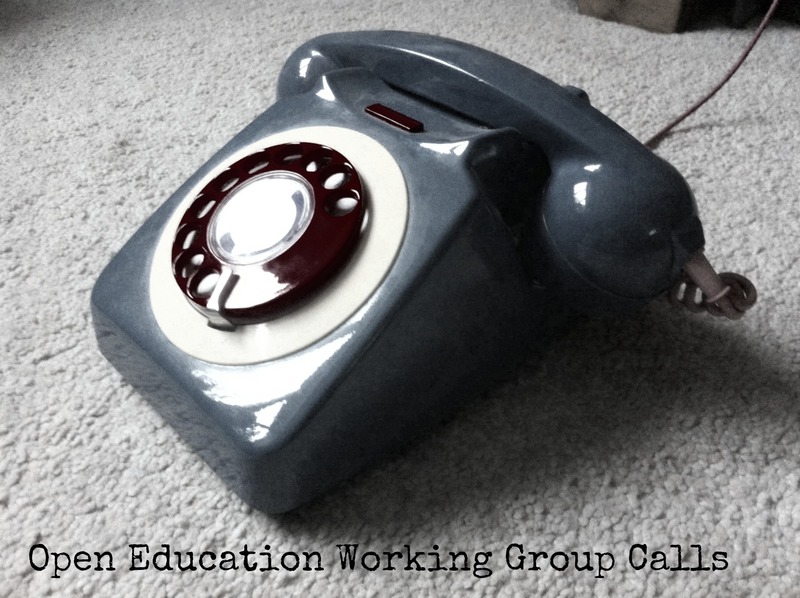 We’re very pleased to announce the first Open Education Working Group Advisory Board. The board are made up of a distinguished and diverse cast of open education advocates from different countries and areas of work. A call for nominations for the advisory board was agreed during a working group call and launched through the Website and Twitter feed. A shortlist of candidates was agreed on by the Open Knowledge Foundation team by assessing individuals based on appropriateness, location and sector. A full list of the Advisory Board members and their respective biographies can be on the Advisory Board page. Introductory blog posts from the Advisory Group members will follow. 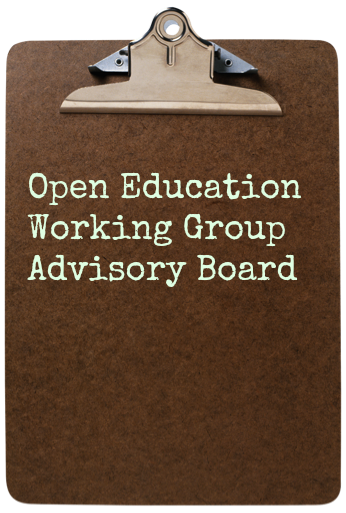 As discussed at the Open Education Working Group Call we would like to appoint an Advisory Board to support the Open Education Working Group. This is taken from the charter – wording still up for discussion. You can see example advisory boards by looking at the Open Science Working Group and the Open GLAM Working Group. We would like to take suggestions from the working group community for who could sit on this board. Obviously there are no guarantees that these people will be willing to take on this role, we can but approach them. If you have an idea for a person then could you add it to this etherpad – there are a few suggestions in there already so don’t worry about being the first. It would be helpful if you could add details such as contact information, their location, their role and why they should be considered. We are keen to have a diverse Advisory Board so please do contribute your suggestions and think global. Thanks!